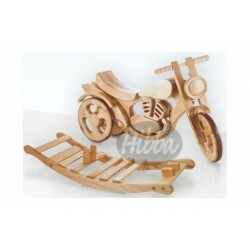 The Hibba Combination Rock and Ride wooden Bike. WOW, this is a superb bike finished to a very high standard. Absolutely stunning, a beautifully crafted sold birch bike that you will not see elsewhere. A combination rocking trike. Use it as a rocking toy or take it off the base and ride on it around the house !! The bike will not mark the internal floor of the house. We know it will delight your little bundle of joy and also be a showpiece in your home. 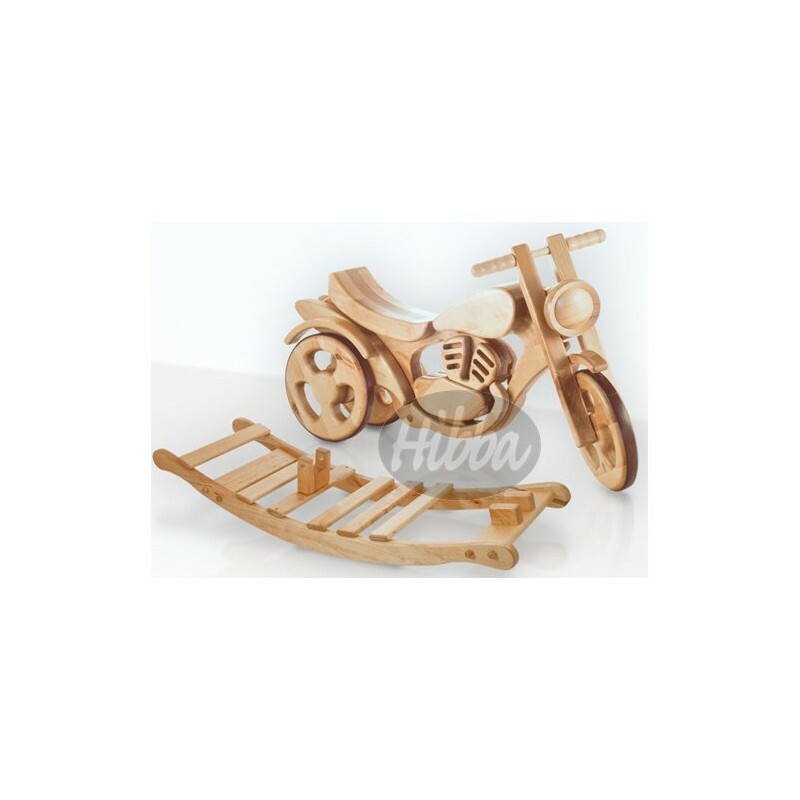 This rocking wooden bike can be used as a rocker and also a ride on bike, foot to floor around the house. It has been finished to an exceedingly high quality and specification as it is crafted by hand by master craftsmen. The rocking bike is absolutely immaculate with a lovely soft sheen finish.